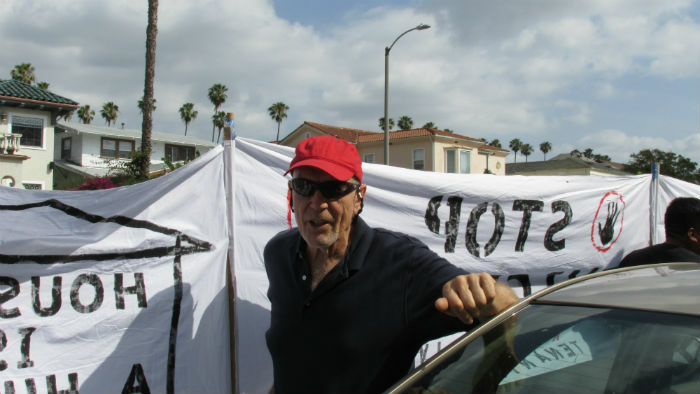 Last month the Poor People’s Campaign came to LA. Led by Rev. Dr. William Barber, II, and Rev. Dr. Liz Theoharis, the campaign has been travelling all over the country advocating “a national call for moral revival.” Can anyone deny it’s needed? If the Poor People’s Campaign sounds familiar, it’s probably because Revs. Barber and Theoharis are building on the efforts of Rev. Dr. Martin Luther King back in the 60s. After the Civil Rights Movement achieved important advances, Dr. King argued that it was time to turn to human rights, focussing on housing, jobs and health care. A close-up of the crowd. On its stop in LA, the campaign landed at McCarty Memorial Christian Church in West Adams, where Rev. Eddie Anderson serves as pastor. The place was packed with people, and a number of different organizations were there representing labor, immigrants, and tenants. One speaker emphasized that the Poor People’s Campaign was happy to embrace people of all faiths, and even people who don’t belong to any faith tradition. They welcome everybody. A variety of speakers took turns at the pulpit, including some ordinary folks who talked about how hard they’re struggling just to survive. The crowd overflowed into the aisles. A close-up of the balcony. Finally Rev. Barber stepped up to speak. He made it clear that he believes our country is in a moral crisis, citing rampant inequality and economic oppression. He talked about poverty in Los Angeles and California, decrying homelessness and lack of access to healthcare. In Rev. Barber’s view, our society is afflicted by four ills that we must challenge: racism, poverty, ecological devastation, and the war economy. It was an inspiring sermon, and the crowd ate it up. I have to admit I didn’t stay til the end, because I had a long bus ride home. But it was exciting to be in a room full of people who believe the country needs to change. Interested in joining the Poor People’s Campaign? Here’s the link…. It is definitely time for a breakthrough. 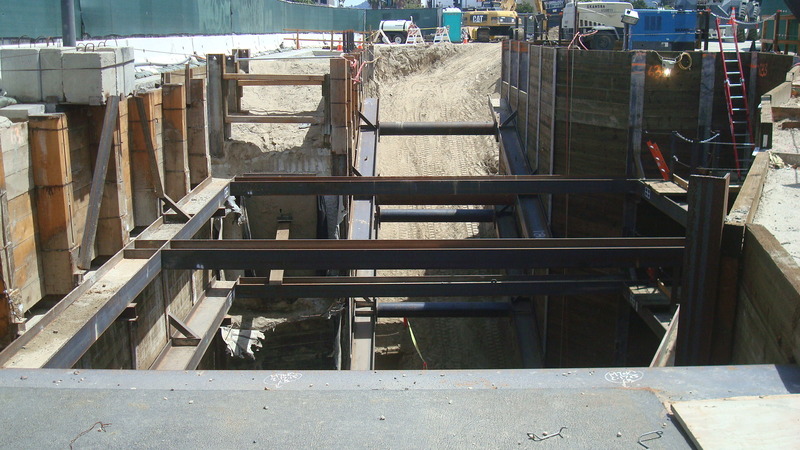 MTA construction along Crenshaw Blvd. 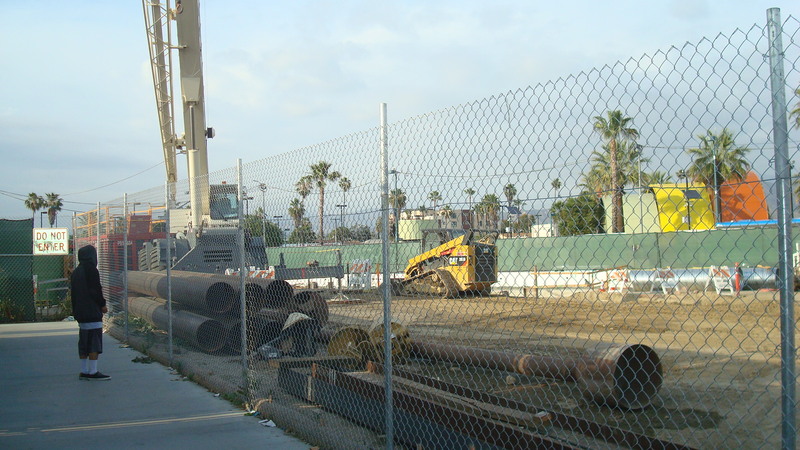 Speaking at a recent Los Angeles Current Affairs Forum, MTA CEO Phil Washington talked about how the growth of LA’s transit network has been accompanied in some areas by gentrification and displacement. Washington is concerned about the fact that low-income residents are being pushed out of the communities they call home, and he wants the MTA to do more to address the problem. It’s good to hear somebody at the MTA talking about this. The question is what can actually be done. Earlier this year the MTA Board agreed that when new residential units were built on the agency’s land their goal would be to set aside 35% for low-income renters or owners. That’s fine, but it’s not nearly enough. What we really need is to have the City and the County commit to changing their planning practices. Mayor Eric Garcetti and Supervisor Mark Ridley-Thomas serve on the MTA Board. 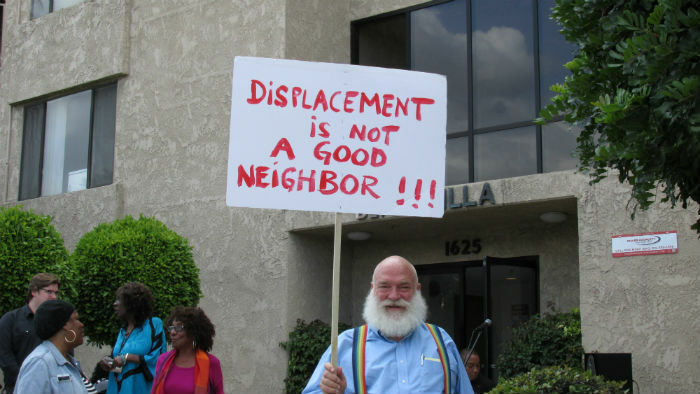 They should both support Washington and take a public stand against displacement. Then they should push for the City and the County to create policies to address the problem. While gentrification is happening all over the city, the growth of LA’s transit system definitely seems to be a catalyst. 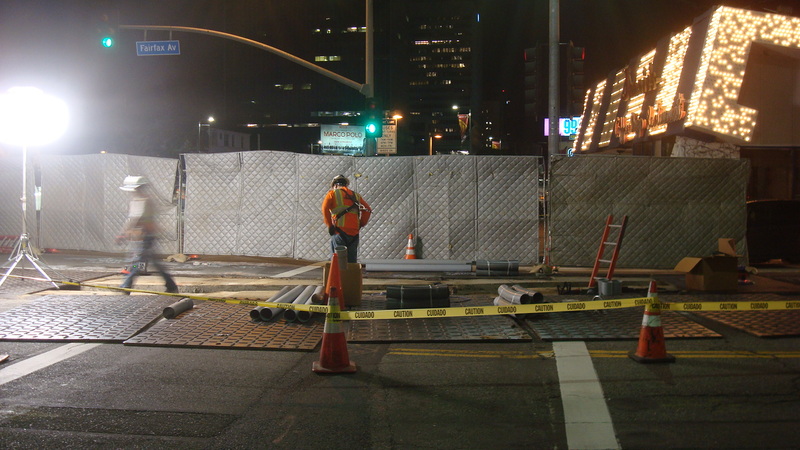 Downtown, Koreatown, Hollywood, and Highland Park have already seen thousands of low-income residents displaced. 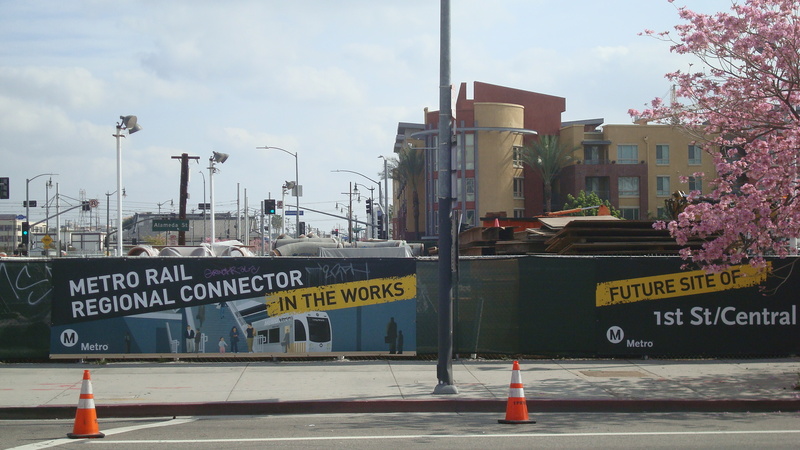 Leimert Park and Boyle Heights seem to be next on the list as the MTA continues its rapid push to expand, bringing an influx of developer dollars to neighborhoods near rail stops. As property values skyrocket, rents go up, too, and low-income tenants who can’t afford to pay must find somewhere else to live. Tenants in rent-controlled apartments can be forced out by landlords who use the Ellis Act to convert their units to condos. I’m really glad to hear Washington talking about displacement, and I hope others back him up on this issue. This is a conversation we need to have, and it should have started long ago. 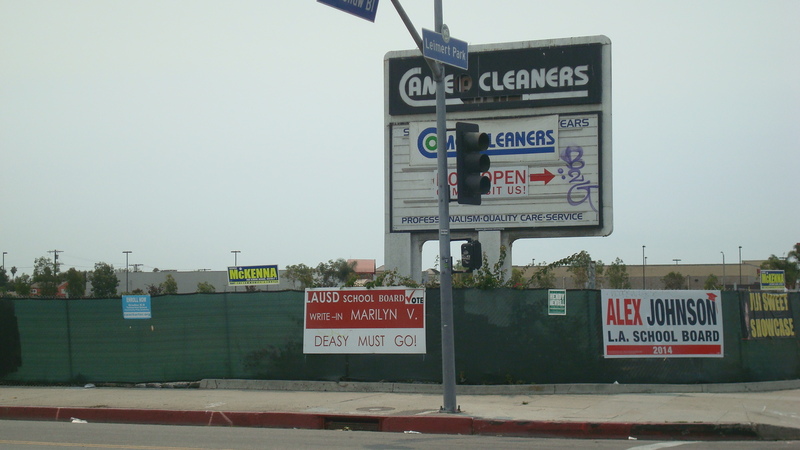 All over Los Angeles neighborhoods are changing. 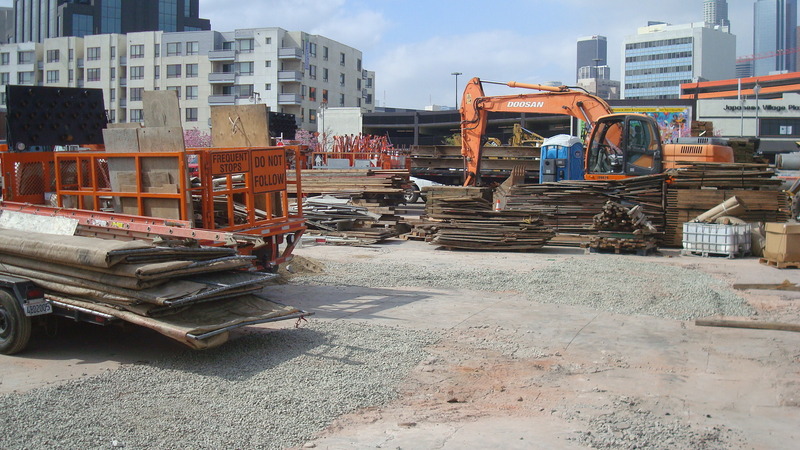 Developers with deep pockets are buying up real estate in the hope of making a bundle. 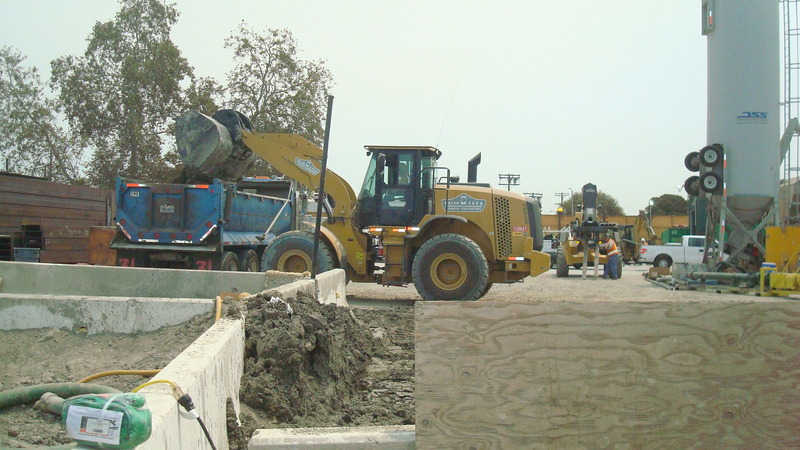 New projects are transforming the landscape from Venice to East LA. We need development, but there has to be a balance between business interests and community interests. The community needs to be involved, and that involvement has to be based on trust. The only way you can build trust is through honesty and transparency. Unfortunately, we’re not seeing much honesty or transparency in LA these days. Many developers are doing their best to shut the public out by keeping their activities secret, and our elected officials often seem to be willing accomplices. As a result, communities across the city have suffered some terrible losses. Buildings have been demolished. Businesses have been driven out. Thousands of renters have lost their homes. 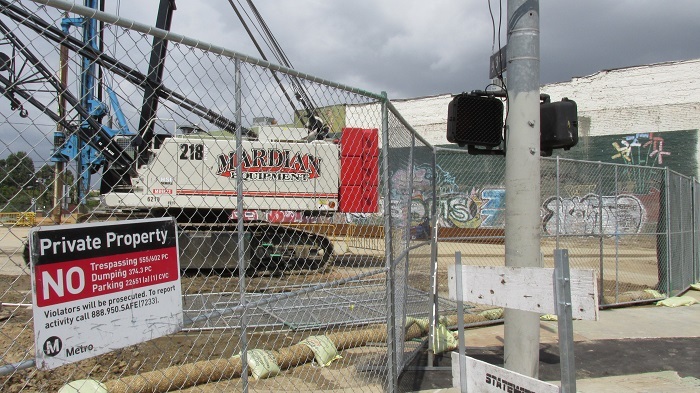 People and places that defined our neighborhoods are disappearing. 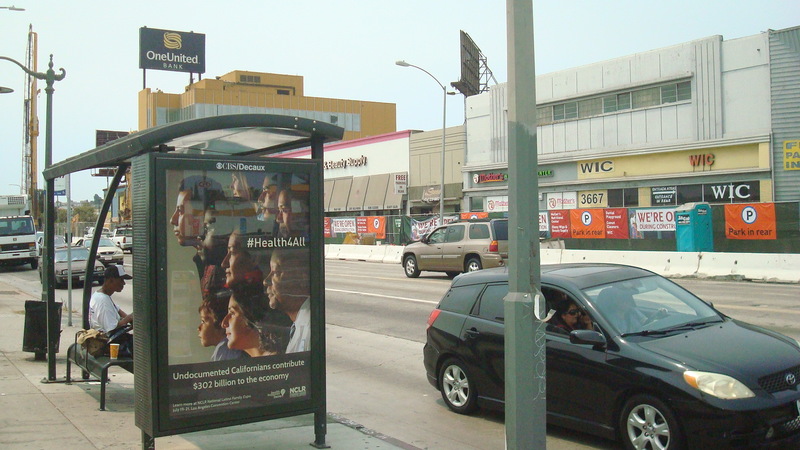 In the last few years Leimert Park has drawn a lot of attention from investors. Built as a planned community in the 20s, Leimert Park was predominantly white up til WWII. After restrictive covenants were declared illegal in 1948, the demographics started shifting and by the 60s the area was largely African-American. For decades it’s been a center for black culture in LA, figuring prominently in the local jazz and hip hop scene. 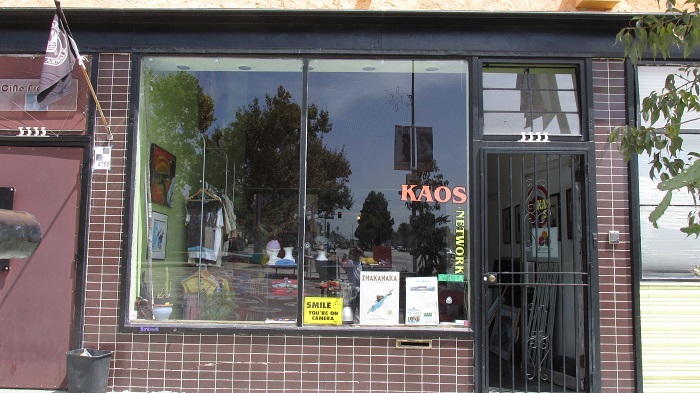 In Leimert Park you can find a beautifully preserved remnant of the past like the Vision Theatre sitting right next door to a cutting edge media lab like KAOS Network. And just around the corner you can also find the World Stage, although that may change in the months to come. 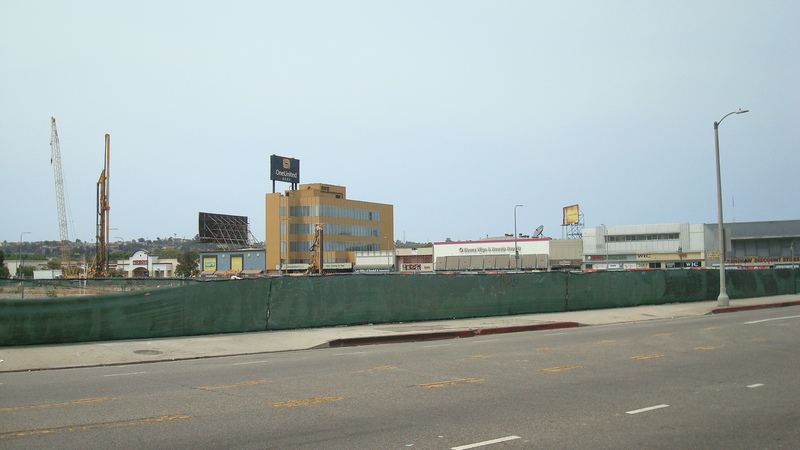 This is one of the saddest casualties of the redevelopment frenzy that’s sweeping across LA. Founded in 1989 by drummer Billy Higgins and poet Kamau Daáood, the World Stage has been a major part of the neighborhood’s cultural life for over 25 years. 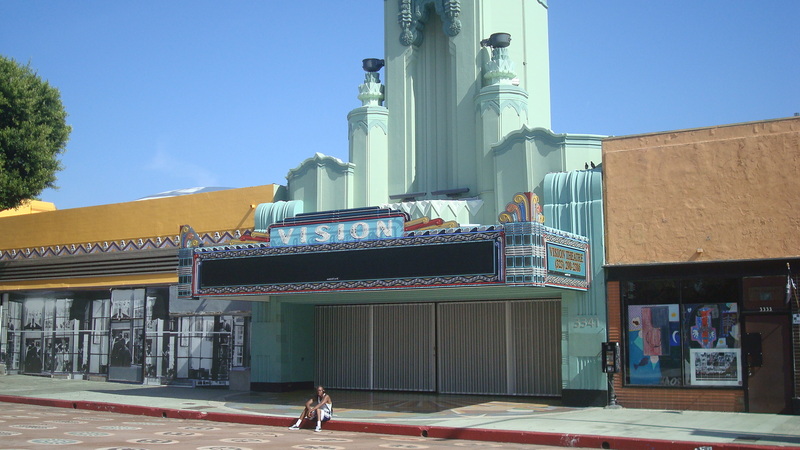 Back in the 90s it was an important part of the renaissance that breathed new life into Leimert Park. Even when the recession hit and neighboring shops and restaurants were closing down, the World Stage remained an anchor for the community. 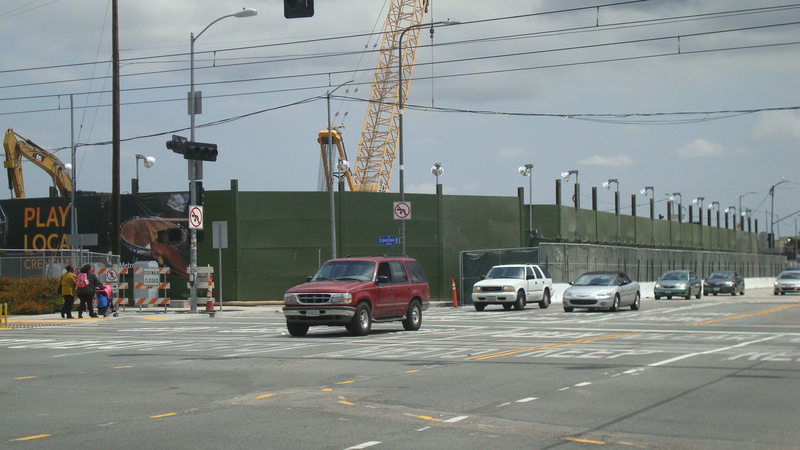 But it looks like the World Stage will be leaving Leimert Park. 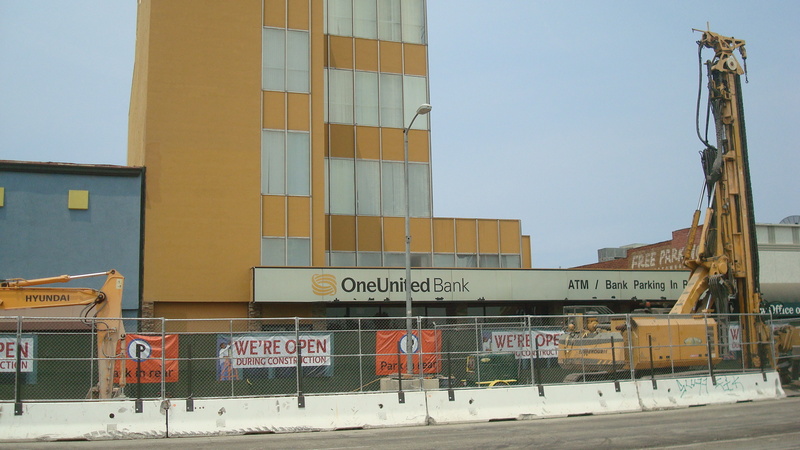 The building it’s housed in changed hands a while back, and the new owners will not renew the lease. In fact, World Stage Executive Director Dwight Trible says the new owners have refused to even meet with him. Trible says that after months of discussion, the Board of Directors has decided that it’s best to look for a new location. So while the World Stage will still go on, it will be cut off from the community that has been its home since the very beginning. The story of who’s been buying up property in Leimert Park and why is complicated, and if you’re interested in the details I recommend reading this piece that appeared in the LA Weekly a few months back. 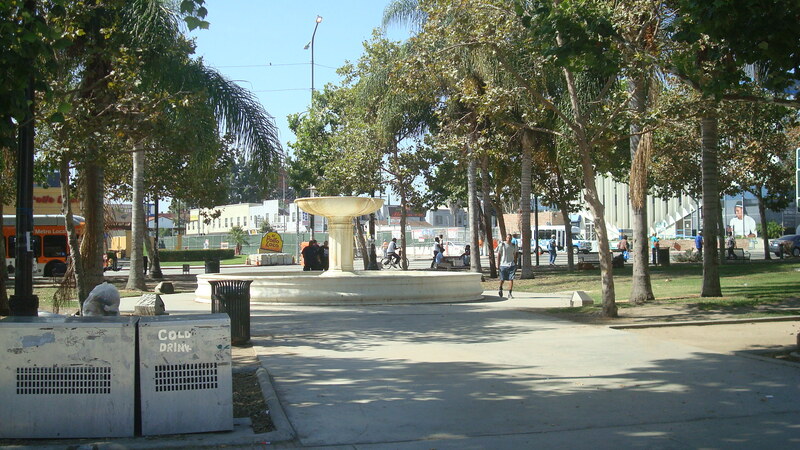 Who’s in Control of Leimert Park’s Future? It’s Hard to Tell. 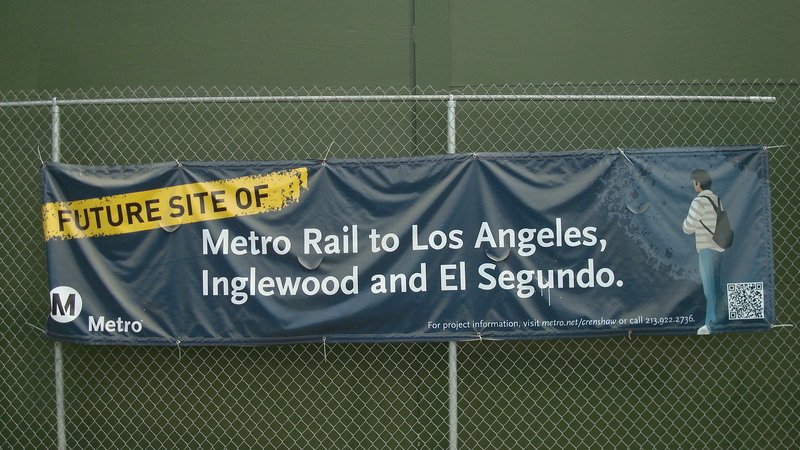 Briefly, the local real estate market started heating up back in 2012 when the MTA decided that the new Crenshaw/LAX line would have a stop at Crenshaw and 43rd. Since then a number of buildings have been purchased by limited liability corporations that seem to be controlled by Allan DiCastro. DiCastro is associated with artist Mark Bradford and philanthropist Eileen Norton, and together they’ve made a serious commitment to investing in the local art scene. 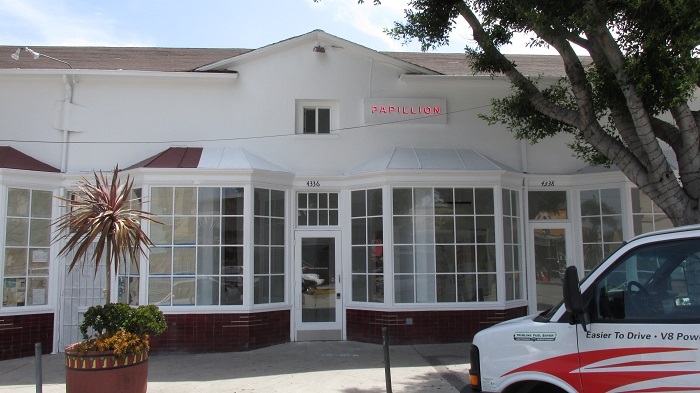 To their credit, they’ve brought the non-profit Art + Practice and the contemporary art space Papillion to the neighborhood. That’s all to the good. 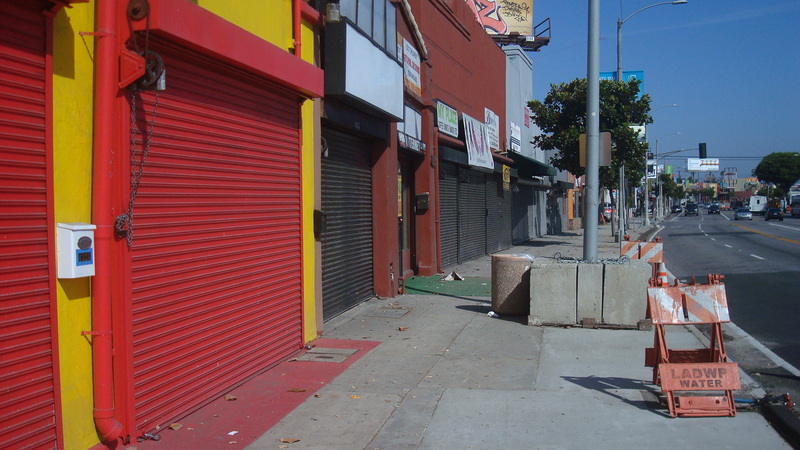 Leimert Park has been struggling in recent years, and could certainly use a shot in the arm. 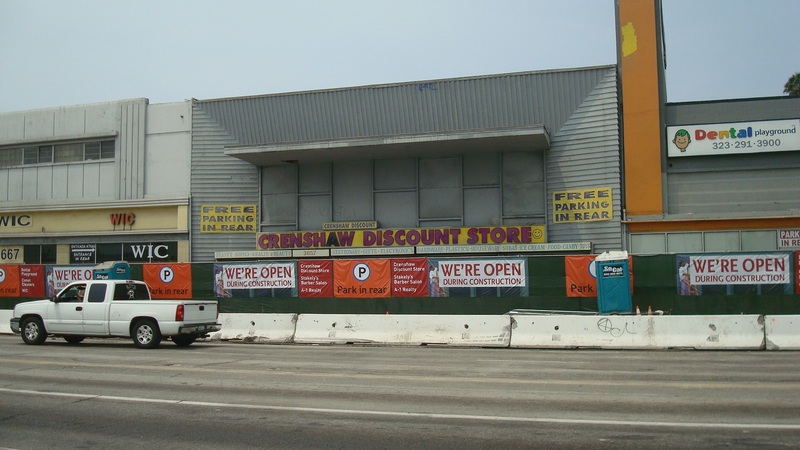 Shuttered businesses on Crenshaw Blvd.. But DiCastro and his associates have not been open or honest with the community about their plans, and that’s a problem. People who’ve lived and worked in Leimert Park for decades can’t get straight answers about what the new owners have in mind. Unfortunately, this is a scenario that’s playing out all over LA these days. Investors with deep pockets and connections at City Hall move into a neighborhood and work behind the scenes to push their own agenda. Residents are told they should be happy about how their community is being “transformed”, but they find they have no voice in the process. Music is one of the fundamental things that binds a community together. It’s a powerful, immediate way for people to connect and share their experience. For years the World Stage has been a place where musicians and audiences come together, where the distance between the people who come to play and the people who come to listen disappears. 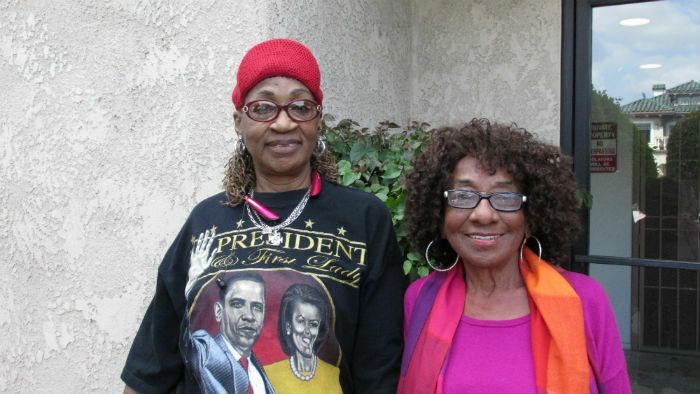 Leimert Park isn’t just its physical home, but also its spiritual home. If the World Stage ends up having to leave, it will be a terrible loss for the community. 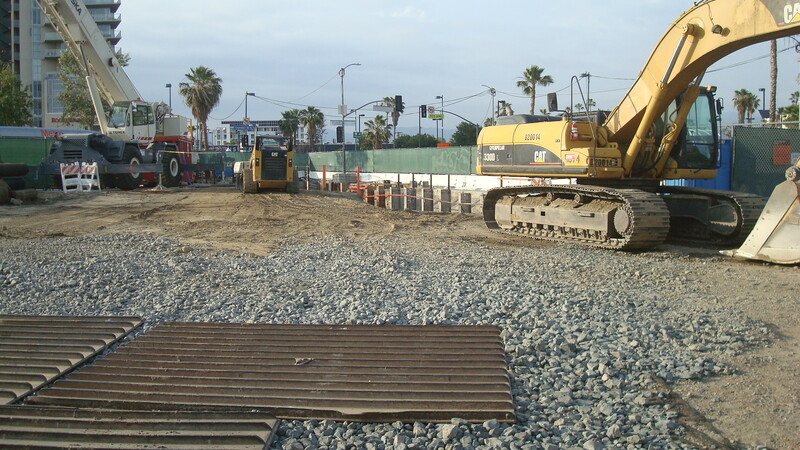 Future site of the Leimert Park stop on the Crenshaw/LAX Line. I was riding the bus along Crenshaw yesterday, when I saw a group of people gathered in front of a building holding banners and signs that read “Stop Evictions” and “Defend Affordable Housing”. I wanted to know what was going on, so I hopped off the bus at the next stop and walked back to check it out. 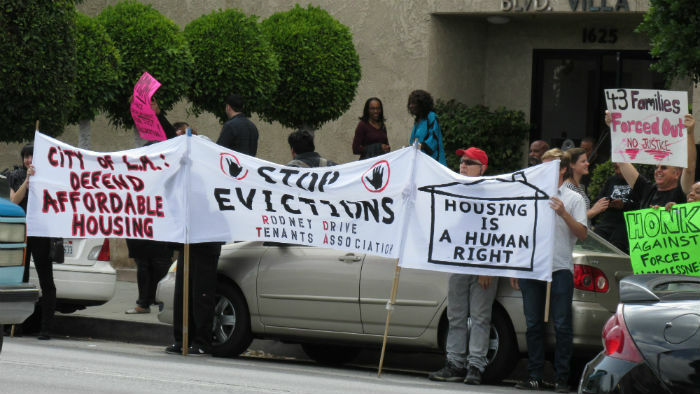 The protest was being held in front of the the apartment building at 1625 Crenshaw, and many of people involved were tenants there. Last December they’d been told they had 90 days to get out. Seems the owner has decided to kick everybody out in order to turn the building into high-end housing. Since it isn’t covered by the Ellis Act, the landlord is under no obligation to offer money for relocation. I talked to Frances Bell, who’s been a tenant there for 22 years. Because she pays market rate for her apartment, she’s been given additional time to leave, but she hasn’t yet found a new place to live. Moving can be expensive, and covering the cost herself is a hardship. There’s a sad irony to Frances’ story, because she works for the Department of Mental Health. One of the things she does as part of her job is help people relocate when they’ve been forced out of their home. Little did she know she’d one day be in the same predicament as her clients at the DMH. I was surprised to run into a friend of mine, Mark Simon, who was holding up one of the banners. Mark lives in Hollywood, and he had told me a while ago that his landlord was trying to evict all the tenants in his building. They’ve been fighting it in court, and have managed to delay the process, but they’ll have to leave in January of next year unless something changes. Then I talked to Walt Senterfitt, who lives in Los Feliz. He’s dealing with the same thing at his building, and to fight the evictions he’s helped organize the Rodney Drive Tenant Association. He feels that renters need to band together in order to push back. In recent years, thousands of Angelenos have been forced out of their apartments as landlords decide to pursue wealtheir tenants. It’s hardly surprising that the homeless population has increased sharply if you look at the all the people who have been evicted so that owners can jack up rents. Hopefully the passage last year of AB 2222 will put a stop to this trend. But it won’t help any of the people I spoke to yesterday, because their landlords started the process before the bill was signed into law. Rents are skyrocketting across the city, and tenants in rent-controlled buildings will have a hell of a time finding a new home for a comparable price. It’s especially hard for seniors who are living on a fixed income. Here’s the link for the Rodney Drive Tenant Association, if you want to get in touch with them. And if you believe that the LA City Council needs to take action to create more affordable housing, send them an e-mail and let them know how you feel. 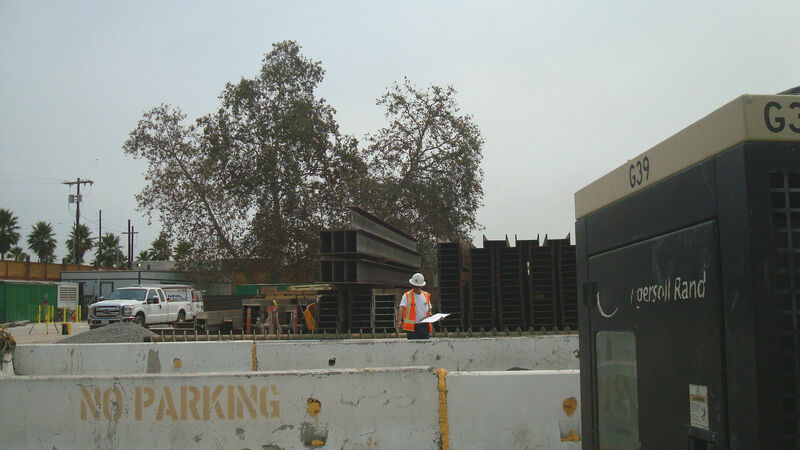 Just a follow-up to a post I did recently on the construction of the Crenshaw/LAX Line. 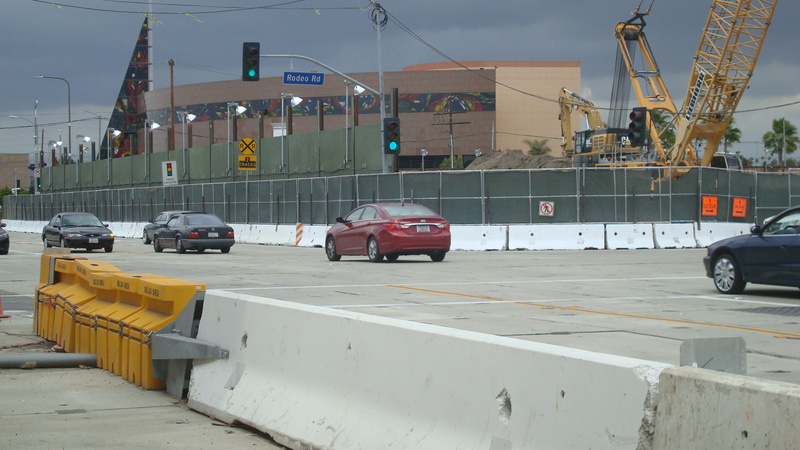 In that post, I mentioned how difficult it was for businesses along Crenshaw to keep their heads above water with street closures and reduced parking. Local merchants have been complaining about a steep drop in revenue, and the Metropolitan Transportation Authority has been listening. 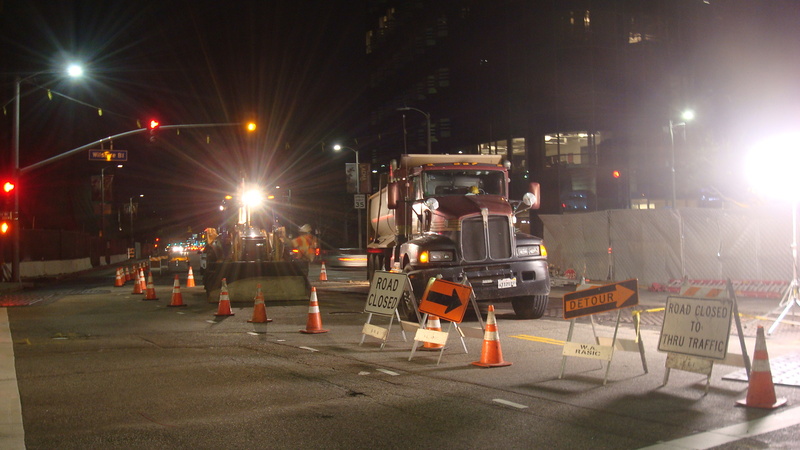 In September the MTA established a fund to aid small businesses affected by the construction. And in October, the MTA approved the creation of the Business Solution Center, which will provide assistance with marketing, financial planning and legal counseling, as well as help in securing loans. Here’s a link to the article in the LA Sentinel. This is a smart move by the MTA. Sure, the Crenshaw/LAX Line will help the neighborhood in the long run, but it’s important to ensure the survival of existing businesses. 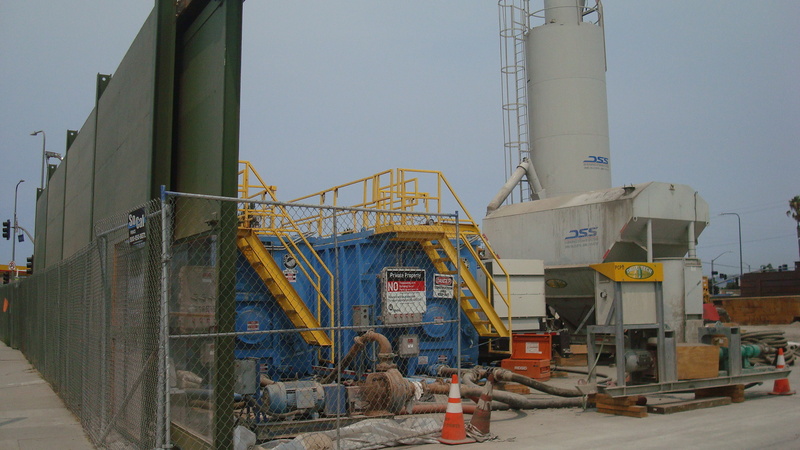 By approving these two programs, the MTA has shown a commitment to supporting small merchants as they deal with the challenges of the construction phase.